lows with color, design and impact add value to your home and years to your life. Growing plants that provide food for the table or flowers for the vase, gardens create sharing and sacred spaces that enhance well being and generosity. Your investment in plants is a considered purchase, at the plants shop we understand quality, our seasonal and professionally grown plants are designed to perform and satisfy all gardeners, new and old. You’ll find an expansive range of full sized plants, bulbs, corms, bare rooted plants, seeds and essential tools and accessories. Browse through our expansive selection of quality full sized professionally grown plants. Create formal or cottage style gardens with our English roses, lavenders and stunning peonies. Bring birds and butterflies to your space with our native plants selection. Have fun growing natives from seed, we carry a wonderful collection of wildflower seeds, that will burst into song and life. Fill your cart with fabulous vegetable to grow in your veggie plot, pots or weave between your existing plants. Our plants come straight from our production benches, in the pink of health, you receive potted excellence, plants grown to industry standard, disease-free and in premium mixes. Ensure your selection of plant begins as you mean it to continue. We only sell professionally grown, quality plants . We have had a lifetime in the plant business and are forerunners in the retail online nursery. This means we are happy to assist you with your plant choices and selections. The varieties and plant selections we offer are the best of the best and proven and popular garden performers. You’ll find helpful videos, and how do you grow advice on the site. We include instruction sheets with many of our plants and can provide more detailed information if you require. Capers are an ancient and revered “fruit” – To define: the caper is the bud picked early and pickled or salt preserved. The Caper Berry is the fruit that has grown on and developed, then harvested at a full size, then pickled. To define: the caper is the bud picked early and pickled or salt preserved. The Caper Berry is the fruit that has grown on and developed, then harvested at a full size, then pickled. Both are totally delicious and are rich in antioxidants, and are purported to have many health benefits. Cleopatra was onto them and used them as (successfully) an aphrodisiac to woo Mark Antony. Move over Oysters here comes Salmon and Capers…..? Capers are perfectly suited to the Australian environment. They not only survive in arid soil types they enjoy our warm sunshine, heatiness and have low fertiliser requirements. Wind and costal conditions do not deter it either. A shrubby low growing plant that can be a little bit deciduous in Winter, the caper bush will spread out to low round bush of about 1.5 wide and high. Sweetly fragrant with long violet coloured stamens. The plant will begin to fruit in its 2nd or 3rd year, producing buds in the summer and if left to develop the berries late summer and early autumn. Postion your Caper Berry plant in a sunny well drained postion. Always water in at planting and if the weather is very hot and dry keep the water up,Iremembering to err on the dry side. A seaweed tonic is recommended every 3months and an all purpose organic fertiliser once a year is adequate. Importantly position your Caper Berry where it can grow for a long time. They do live for 50 – 100 years…..! Growing to up around 6 – 8 metres in height it is best practice to prune your olive trees in late winter, early spring and keep them at a manageable height and size. You can sculpt olive trees into wonderful shapes, encourage spreading branches, olives are brilliant espaliered also. A bright sunny position in the garden, although tolerant of dry conditions or lengthy periods without water once established it is best practice to ensure good water supply to your olives particularly when they are establishing. Feed in Spring with an good all purpose organic fertiliser and again in late autumn with a nitrogen rich organic pelletised fertiliser. Olives are self pollinating and you’ll find your tree popping with fruit in about its third year of growth. There are many different types of olives in the market place, we sell what we consider the best two. Kalamata is a delicious eating olive, a large, almond shaped fruit with plenty of flesh around the pip. A good cropper it’s the most popular of all the olives. Manzanillo is a rounder olive with a wonderful flavour it’s very high in oil content and is the olive of choice for pressing, however it is also a terrific eating olive. Did you know that a black olive is a ripe green olive? Fruiting in autumn, olives are blissfully simple to preserve, you can salt the very ripe black olives and let them dry in the soft autumn sun, in a plastic colander or draining tray. Turn and toss them every day or so and after a week ( taste the olive to ensure it’s lost it’s strong bitter taste) or so you can wash of the salt dry well and either freeze them or put them into a sterilised jar and cover with oil. If you store the olives in the freezer, to serve them, grab however many you wish to use warm up some olive oil in a fry pan add in some garlic slivers and lemon rind and toss in your frozen olives. They’ll thaw and warm and then serve them….delicious! I know I’m not the only one in the world that loves Garlic. It’s loved and used by almost everyone. If all the people that loved eating and cooking with Garlic suddenly started growing their own, instead of buying it, I do believe the world might spin off its axis. If you have ever wanted to have a little crack at growing your own – growing garlic is gold! It takes next to no space and it’s a bit of a ‘plant and forget’ thing…. This is how it works – The garlic is referred to as a head or a bulb made up of the cloves (little bulbils) what you normally crush, chop or crunch. If you plant those cloves, in 6 months time they will have converted underground to a full sized super delicious, garlic bulb. Warning – tempting though it is to just grab the garlic on the kitchen bench and plant it in the garden, resist! Much of the garlic we purchase and consume has been treated, to whiten it or to retard germination to prevent it growing in the cupboard. Garlic for general consumption comes in from places unknown (or unspecified) and has again been treated for season adjustment. Domestic garlic is not hugely successful for planting. Plant unalloyed garlic, bred for production, purity, and success in the garden. If you then want to build up your own supply, you can replant with the garlic that you haven’t consumed. Unlikely as it’s so delicious you’ll eat it all for sure, or give it away to your friends. A string of homegrown garlic is just about the best Christmas gift you could give. Garlic is always ready for harvest just prior to Christmas Day. Plant your garlic cloves in a well-drained, open, composty soil. They will throw lovely long stems up into the sunshine, allow enough space for them to shape under the ground, apply some delicious organic fertilizer in mid-August and that’s about it. Until early summer – around about the summer solstice, you just yank out those Garlic bulbs with the stalks attached. Let them dry off for a few days then brush off any residue soil and you can store them in a dry clean possie until you want to use them. If you want to twist or plait your lovely garlic’s up into a string or rope choose “soft neck” garlic – Expert told me that, I think that’s why for all the years I grew garlic, I never mastered the rope plait with the stems…..I’d been growing hard neck garlic…..I just tied them into a bundle, it still looked pretty cool in a rustic kinda way? There are several types of Finger limes in the market place, ranging in quality, colour and flavour. Rainforest pearl has ruby red skin with red & pinky, champagne coloured pearls, plump and full flavoured. Although a native, it is important as with all other citrus that you purchase grafted Native lime plants. This ensures health and vigour and that the plant is true to type and flavour. Grow Finger Limes in a warm sheltered position, with sun for most of the day. They grow well in pots or in the garden, preferring a light, friable, compost rich soil. Finger lime trees, will grow up and around to 3 metres and respond well to clipping and pruning, so don’t forget who’s Boss in the garden. They make amazing hedges and espalier very well against flat walls, to transform boring walls. The fruit comes with a bang in late Autumn, early winter depending on your region. Plan for a party celebrating the joy of native limes or throw the fruit into a plastic bag and into the freezer, as it doesn’t store for long once it’s off the tree. The fruit of the finger lime is extraordinary, finger or sausage like in shape these little rockets are loaded with delicious pearls of citrus juice and powerful tangy flavour. The thin citrus skin holds together a beautiful cluster of glistening pearls. The pearls (or, as often referred to, Caviar) make an elegant and citrusy garnish for oysters freshly shucked. A creamy butter sauce is transformed with finger lime pearls. Fold into cream cheese or mascapone to enliven with citrus flavours. Chop the whole fruit and use to make fabulous marmalades or hot and spicy pickles. Have fun and experiment, finger limes are a delicious and exciting Citrus, Native to Australia. You can slice the fruit length ways or in cross section. Gentle squeeze the citrus pearls from the skin. Why is it called Passion Flower? The Jesuit missionaries that rode along with the Conquistadors into South America in the 16th Century used the intricate design of the passion fruit flower petals to explain the story of the Crucifixion; 10 petals and sepals represented the apostles, a crown of thorns was seen in the filaments, and the five anthers represented the five wounds. The three stigmas were the nails that pierced the hands and feet of Jesus and the vine’s tendrils were equated with the whips? The Passion of Christ! The Passion fruit flower is truly a work of art, quite exquisite and they are popping out now, in summer, to evolve into fruit ready for autumn feasting. Passion fruit vines love a north facing position in the garden, a rich composty soil, plenty of room (well at least 2 metres) to spread about and wire or strong trellising to wrap their wiggling tendrils onto. Back in the day, (when ever that was?) you traditionally planted your Passion fruit on a piece of liver purchased from the butcher, or your dead cat, dog or possum, apologies to the squeamish.This provided the Passion fruit with a big hit of nitrogen, they are extremely hungry, and have a ferocious appetite success with a Passion fruit relies on a good feeding routine. These days, you can happily load them up with a good organic complete fertiliser. Passion fruit comes in several different styles, the tradition Nellie Kelly Black, great for the southern states of Australia. The Panama Red produces, large, sweet luscious fruit, really abundant in crops and spreads over a much larger area. A yellow version, Panama Gold, is also a beauty, with large delicious fruit, and a vigorous and highly productive vine. Always choose a grafted Passion fruit, this will ensure a disease resistant plant that is hardy and strong growing. Always true to type, you are assured of a quality professionally grown plant that will thrive for you for a lifetime. Prune your Passion fruit in spring, shear off about 30cms of growth. Then feed the plant. Feed again in summer, apply a tonic in late summer and then a gentle feed or tonic in mid to late autumn. If you pick you Passion fruit before 12 Noon they stay smooth skinned if you pick them in the afternoon they wrinkle, either way, they taste fantastic, sparkling and sweet in flavour, and a handsome and rewarding plant to grow. Can’t find your plant? Contact us! Why to Buy Online Plants From The Jovialfloor? At jovialfloor.com, we place a top priority on convenience as well as quality. We feel that online shopping is the quickest way for customers to browse products, as well as the most convenient way to purchase them. When our customers enjoy orders from the comfort of home. Certainly there is no other online Plant shopping website whose services can be compared with the jovialfloor, the reason for saying this that over here we give you opportunity to choose from the largest collection and widest variety of plants that you can access over the online market and send to any part and at any corner of Delhi without having any doubts regarding the deliveries and most importantly we believe in building long lasting relationships with our customers rather than having other objectives, therefore, we offer you the best plant arrangements at the best prices with 100% satisfaction guaranteed. To help make sure you get on-time delivery during busy holidays, place your order in advance. We give personal attention to each and every order. Contact us at cq@jovialfloor.com for all your Garden arrangements needs. Browse through our expansive selection of quality full sized professionally grown plants. Create formal or cottage style gardens with our Petunia, lavenders and stunning Calendula. Bring birds and butterflies to your space with our native plants selection. Your hardest choice might just be what color to choose. Fill your cart with fabulous vegetable to grow in your veggie plot, pots or weave between your existing plants. Our plants come straight of India’s Best production benches, in the pink of health you receive potted excellence, plants grown to industry standard, disease free and in premium mixes. Ensure your selection of plant begins as you mean it to continue. We only sell professionally grown, quality plants. Cheerful little plants, delivered right to your urban front. By having plants delivered to your door straight from our growers, we skip the middle man, which makes jovialfloor the freshest online plants retailer around. Offering products such as flowering plants, Succulent, and Indoor Plant at competitive prices, Jovialfloor.com can deliver plants cheaper for all your gifting needs. With the recent popularity of bio-active terrariums, live plants have become something in constant demand. We are Delhi NCR Favorite & Delhi NCR Best Place To Buy Plants Online. Most people prefer to buy Plants Online Nursery Buy Indoor & House Plants online at JovialFloor Garden Find something different live plants for sale! jovialfloor is more than a nursery. Step into a sanctuary filled with gardening inspiration, garden ideas, indigenous and flowering plants, plus a wide selection of on-trend flower pots, top quality bird feeders, exquisite patio furniture and classic garden décor. Transform your indoor living space into a green oasis filled with luscious indoor plants, paired with stylish indoor pots and beautiful containers. Jovialfloor strives to offer you the very best instore and online gardening experience, with our quality product offering and personal service, we’ll meet your gardening needs and offer you real solutions to enhance your indoor and outdoor living spaces. In just one visit, you can totally transform your home and garden with Jovialfloor. No matter what shade of green your thumb is — master gardener, just starting out or landscape professional — The jovialfloor has your back. You’ll find support for your lawn and garden projects online from friendly, garden-minded associates .No one has a better selection of indoor and outdoor plants and planters. Get crafty with easy-to-care succulents or brighten up your life with healthy and colorful perennial and annual flowers. NOW buy Ayurvedic herbs online india at jovialfloor Whether you’ve got just a windowsill or an acre of land , it’s a good idea to grow herbs in containers for easy access to their wonderful flavors because There is nothing like a good supply of fresh herbs to take your cooking to that extra level! Most are easy to grow and all can be grown in pots or containers as well as in the garden. Some can even be grown ‘indoors’ in good light. So if you want to fill up your kitchen window sill for that instantly available supply you’ll find our selection of herb seeds represents most popular varieties. Basil aka Tulsi is perhaps the most popular of all windowsill herb plants to grow. As a matter of first importance, herbs require full sun for best execution. Place your holders in areas that get no less than eight long periods of direct sun. Develop indoor herbs in the sunniest area you can discover, yet don’t anticipate that them will execute and also they do outside. Additionally, don’t give your herbs an excessive amount of affection. Evade the manure; most herbs will give you the most grounded aroma and flavor in the event that they’re developed in lean soil. Similarly, water shrewdly; while most herbs lean toward dry conditions, some need more dampness to flourish. Utilize a dirt less preparing blend to give amazing waste and space to roots to develop. Perennial herbs can survive in containers outdoors all year-round if the pots are large enough (more than 8 inch ), have good drainage, and are hardy in your Zone. Use plastic pots; ceramic or clay containers will often crack from freeze thaw cycles. Or lift your perennial herbs from pots and transplant them into the garden in late summer, giving the herb enough time to establish a new root system to survive winter. You can also treat container grown perennial herbs as annuals, cutting them at the end of the season. Whether you use herbs in the kitchen or not, bear in mind that a herb area can prove a pretty addition to any garden. When herbs such as mint, oregano, ajwain and Tulsi they are especially attractive to bees and to butterflies. 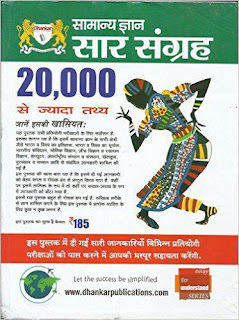 Don’t hesitate to ask to buy Ayurvedic herbs online india Order NOW ! Looking for medicinal herb plants for sale? Developing herb plants is simpler than at any other time with our determination of nursery-developed pruned herbs. What’s more, on account of our common developing techniques, our pruned herb plants are prepared to eat, plant smell or essentially appreciate from the day they’re conveyed!! Developing herb plants at home implies that a crisp supply of sweet-smelling flavorings for your cooking and preparing is never in excess of a couple of steps away. What’s more, a liberally loaded herb cultivate, herb grower or windowsill packed with your most loved herb seasonings is presently considerably simpler to develop with our scope of pruned herb plants – what more might you be able to request? We realize that a considerable lot of our clients are faithful buyers, so you’ll be satisfied to take note of that the majority of our herb plants are developed with totally common techniques in compost figured appropriate here at the nursery. This implies you can begin capitalizing on our pruned herb plants in your cooking that day that you get them, safe in the learning that they haven’t been treated with any ‘nasties’. Herbs are prevalent not just for culinary utilize and their changed wellbeing properties, yet in addition due to their smell, untamed life drawing in blossoms, and, essentially, the simplicity with which they can be developed. Commonly, numerous herbs will develop well in free-depleting soil, or in great light conditions on a windowsill. Truth be told, some of the herbs we offer have provenance in the Mediterranean, and when set up will frequently flourish in poorer soils as well, making them an extremely convenient expansion to your kitchen cultivate or troublesome planting region as they require least complain and upkeep! There’s no motivation behind why you shouldn’t develop herbs at home, regardless of whether in a couple of pots by the secondary passage, or a committed herb plant in a radiant spot. Also, with our pruned herb plants, there truly is no reason. We’re enticed to state that each home cultivator is obliged to have no less than a couple of decision herb plants in a hurry at any one time! So begin today with any of our nursery-developed pruned herb plants from the posting beneath. Here’s a simple unfold collection of the best, most delightful perpetual blossoms that are ideal for any garden—particularly in case you’re an amateur! Looking for Kalanchoe ! Find The Perfect Flowers Surprise your favorite person with a unique, long-lasting gift. Kalanchoe plants come in a set of three for a full arrangement, ready to be spread out around your bookshelf. Ixora Dwarf Red Evergreen bush with polished green leaves and substantial thick heads of splendid orange-red blossoms from spring to harvest time. Ixora Dwarf red ixora Online Plant coccinea or Flame of the woods.A expansive leaved evergreen developing gradually with a smaller, adjusted propensity. This species is a flawless adjusted evergreen bush it will achieve a stature of 2m with a spread of 1.5m. The blooms are little, red and tubular; they are borne all through the late spring in thick ball-like groups. The leaves are around 10cm long and dull green; they are trailed by cherry-sized dark natural product. These Vinca breed has transformed the way we can use Vinca in hot and humid climates, and now it’s available in glorious trailing form! Vica has all the disease resistance, heavy flowering, and lush foliage of its cousin, plus larger than ever blooms that resist fading and seem to last forever. Fill your flowerpots, hanging baskets, and window boxes with this carefree annual! Just 6 to 8 inches high, Vinca spreads 32 to 36 inches wide, with flowers every inch of the way. The blooms are very evenly distributed, eliminating the “bald spots” that plague some Vinca. And these flowers are a bit larger than most other Vincas’, standing out brilliantly against glossy, dense green foliage. You can see the vigor in every leaf and bloom of vinca — it just looks healthy and ready to flourish! Vinca is perfect for containers of all kinds, particularly those high enough to show off its full trailing glory. It thrives in full sunshine, despite unseasonable high temperatures, punishing humidity, or frequent late-afternoon rain. Its resistance to aerial phytophthora, the disease responsible for the mysterious “sudden death” of Vincas in wet climates, sets it apart from all others, and makes for a very low-maintenance plant that blooms nonstop all summer long. These seeds are easy to start and quick to grow. Expect the first blooms just 10 to 14 weeks after sowing. You simply can’t beat Vinca for dependable, beautiful performance. And if you like Red, be sure to try the other colors too — Purple, Peach Pink, and Voilet with white Dot. You’ll love them all! Even the most compact space can be transformed into a spacious pampering zone. But before you start stripping tiles and selecting taps, think about your requirements. The right layout, bathware selections, and ample storage can transform a cramped, tired bathroom into your own boutique hotel-style zone. Even the smallest space can work as a stylish and functional family bathroom. For a contemporary look, consider a separate bath and shower, plenty of storage, fuss-free finishes and, if room permits, twin basins and a separate toilet. These elements will mean that everyone in the family will get to work and school on time. When designing a smaller bathroom or ensuite, a compact or corner bath might be required. A busy couple, however, may be happy to live without a bath, preferring a high-tech showerhead with pulsating jets or, for real indulgence, a stylish rainshower. The next stage, designing the floorplan, takes a bit of time and consideration. Simply measure your space, then draw the layout to scale on graph paper, noting doors, windows and fixtures. Try various options, but make sure you have enough room to open the shower screen door and a free wall to utilise one or more towel rails. Moving fixtures may be tempting but new plumbing can really push up your budget. For a more cost-efficient solution, simply replace your bathware and tiles, and allocate new storage and lighting for a contemporary look. When renovating a bathroom, a well-thought-out layout is essential. If a large bath in a small space is still a priority, for example, you can compromise by downsizing the vanity or installing a showerhead above the bath. Basin: Ensure you have a clear space of 700mm from the front of the basin to the nearest wall. Toilet: Allow at least 600mm in front of the toilet and around 200mm either side of the bowl for elbowroom. Bath: An average bath is approximately 1700mm long and 800mm wide. The Right Layout Try various options, but make sure you have enough room for towel rails and for opening the show screen. Shower: Allow at least 800 x 800mm for the shower recess. Most bathroom renovations take about four to five weeks, and it’s worth requesting a building work schedule in the early stages.Before the demolition commences, you should decide on all your bathware items and tiles (known as PC items in the trade). Check out various magazines and bathroom displays first, and make sure each item follows a similar style or tone. All information and tips in this publication are of a general nature only and Jovialfloor does not warrant the accuracy or completeness of the information and tips in this publication. This publication is not intended to be a substitute for expert advice.Jovialfloor advises you to always consult an experienced and qualified person when undertaking jobs of this kind (including consulting a qualified tradesperson such as an electrician or plumber where relevant expert services are required). You should also consider any safety precautions that may be necessary when undertaking the work described in this publication (including wearing any necessary safety equipment such as safety glasses, goggles or ear protectors or hard hats). The information and tips in this publication are provided on the basis that Jovialfloor excludes all liability for any loss or damage which is suffered or incurred (including, but not limited to, indirect and consequential loss or damage and whether or not such loss or damage could have been foreseen) for any personal injury or damage to property whatsoever resulting from the use of the information and tips in this publication. Jovialfloor also notes that there may be laws, regulations or by-laws with which you must comply when undertaking the work described in this publication. You should obtain all necessary permissions and permits from council and/or any other relevant statutory body or authority before carrying out any work. 10 tips for a quick and easy makeover that will refresh your kitchen and make it feel like new again. The kitchen is the hub of most homes. Given that you spend so much time in it, your kitchen can start to feel tired or dated pretty quickly. Styles come and go, and your needs change. Yet major kitchen renovations can break the bank. The good news? If your kitchen is getting old and you can’t afford a big reno, there are plenty of quick and easy ways to update the look, feel or functionality of your kitchen. Here are our top 10 tips for an affordable kitchen makeover. The colour or finish you loved five years ago may be out of vogue now. Not a problem. Replacing your kitchen cabinet doors is cheaper and easier than pulling out entire kitchen cabinets and starting anew. You’ll be amazed at the transformation in your kitchen. Changing the handles on your kitchen cabinets can make a huge difference to your kitchen. You can easily and cost-effectively change the colour, shape or size – and enjoy a completely new look! If you’ve got a tile splashback, you can buy a pot of tile paint to change their colour without the expense and effort of buying and laying new tiles. It’s a fast, simple way to update your kitchen to match current trends. Likewise, one of the cheapest ways to freshen up your kitchen is by painting the walls, ceiling or woodwork. You’ll be surprised at how effective a new splash of colour can be. If your kitchen currently relies on lots of cabinetry, consider removing the doors from some of your kitchen wall cabinets or adding open shelving to blank walls. Then, you can put some of your favourite ceramics, glassware or collectibles on display – or simply store your most-used items within easy reach. New downlights, a beautiful new pendant light or under-cabinet lighting can give your kitchen a bright new lease on life. Treat yourself to a brand new kettle, coffee machine or toaster. A shiny new appliance will instantly update the look and feel of your kitchen. Even small changes to your kitchen can make a real difference. Find some smart new utensils, bright new tea towels, a cool clock or a stylish print that you love. Have you thought about changing the flooring in your kitchen? If your current floor is looking a little worse for wear, you could consider replacing it with wood or tile effect vinyl – it’s cost-effective and looks great, too. In any kitchen, the work surfaces and benchtops get used over and over again, and they’re one of the first things you notice. You want to make sure you love them! Splash out on a new benchtop and you’ll feel like you’re walking into a whole new kitchen. It’s that time of year again. The sun is shining, there is the unmistakable aroma of charred snags, barbie season is finally here! No matter what you are in the market for, there are a few basic things to think about before deciding which BBQ is right for your needs. In this guide you’ll find tips to help you get the right barbecue for your space. Gas barbecues use bottled LPG (Liquefied Petroleum Gas) or natural gas from the mains. Different barbecues are compatible with different fuels. Gas burns cleaner and is generally less expensive per use than charcoal. Gas BBQs ignite quickly and depending on the plate materials, will be ready to use after a few minutes of preheating. Side burners on gas BBQs give you more cooking options. A 9kg gas bottle is the most common and contains 8.5kg of fuel. With a 4 burner BBQ this should last about 6-7 hours. Charcoal BBQs use charcoal briquettes, wood or a combination of both. Cooking on a charcoal BBQ gives your food a smokey, ‘char grilled’ flavour. Cooking over charcoal requires preparation. After lighting, you should be ready to cook in 20 to 30 minutes, depending on the size of the barbecue and the number and type of briquettes used. Sizes range from small kettles great for picnics or camping to large BBQ/smoker combinations. Top of the range charcoal BBQs have air vents or dampers to control cooking temperatures. Most charcoal BBQs are metal and will get very hot to touch. When using a charcoal BBQ, ashes need to be disposed of regularly. Electric BBQs are cheap to run but need to be near a power point. Electric BBQs heat up quickly but generally do not get as hot as gas or charcoal. If you live in an apartment or other area that can’t accommodate charcoal or gas, you can still cook outdoors with an electric BBQ. If an extension cord is needed, be sure to select one rated for outdoor use. How many people will you normally be cooking for? Manufacturers sometimes measure a cooking area with the warming rack and side burner included. Steaks, chicken, snags and vegetables can be cooked in a small space. If you are planning on cooking larger items, such as rib racks or whole fish, you’ll need a large BBQ. How often will you be BBQing? Remember that charcoal BBQs generally take longer than gas BBQs to heat up. Weekend users have the luxury of time, but if you planning on BBQing a lot during the week, gas or electric may be a better option. How much space is available for the BBQ? A 6 burner BBQ with cabinets, roasting hood and side burners can take up a lot of space on a patio. Before you go shopping, measure your available space. or the balcony of an apartment. How many burners are available? To help control the location of the heat, most BBQs are available with at least two individually controlled burners. Higher-end BBQs may have up to six or eight burner for even more control. Look for stainless-steel or porcelain-coated burners for rust-resistance. Note: Take care when placing your BBQ. The heat from cooking can be harmful to the finish of the house and grease may stain the surface the BBQ is sitting on. Porcelain-coated, cast-iron plates are the most desirable for heat retention and ease of cleaning. These wear extremely well, are rust-resistant and last longer than other materials. They do however take some time to heat up. Stainless-steel plates are rust-resistant, and quick to heat but they may allow food to stick. Porcelain-coated plates are the best bet for nonstick cooking. However, the porcelain glaze can chip and rust if not properly cared for. Cast-iron plates require curing like cast-iron cookware to prevent rust. These heavy grates wear well, cook well and distribute heat more evenly than the other materials. BBQ accessories range from basic to specialised. A BBQ cleaning brush, tongs and spatula are must-haves. Specialty cooking accessories like a pizza stone or fish basket gives your barbecue more recipe options. Rotisseries are available to fit some BBQs. If you plan on cooking poultry or large cuts of meat, invest in a quality meat thermometer. A BBQ light also helps you make sure food is cooked to perfection when cooking at night. Buying a lined cover will protect your new barbecue from the elements and ensure it’s clean and ready to use when you need it. Use 3M Command™ hooks on the walls of your home to reduce the clutter on your benches and workspaces. They are sticky and strong, but easy to remove, so it’s a fantastic way to address the mess at home. Clutter. It’s a common complaint of the 21st century homeowner. We’ve all got too much stuff! The good news is that it’s easy to make the rooms in your home feel less cluttered – without having to give your precious treasures away. The secret? By hanging some of your stuff on the wall or hidden away, inside cupboard doors. Before you pull out your nail gun, metal hooks and screws, though, we’ve got a great solution that is a fraction of the hassle and leaves no marks on your plaster. Meet 3M Command™ hooks. This product range includes sticky hooks of various strengths, which you can easily stick on your walls to hold items of various weights. The good news? If you don’t like where a hook is placed, you can easily remove it without damaging your wall. Be sure to follow the instructions on the back of pack, including after pressing the hook firmly to the wall for 30 seconds, waiting an hour before hanging your item. Here, we share our tips for tidying up three of the messiest rooms in modern homes – the workshop, the kitchen and a child’s bedroom – using 3M Command™ hooks. Digging around your toolbox for your pliers becomes a thing of the past when you organise your workshop using 3M Command™ hooks. To get started, all you need is a smooth, painted wall. Then, place the hooks on the wall and hang all your most-used tools, cords and gadgets. The 3M Command™ Jumbo hook holds up to 3.4kg, so you’ve got plenty of strength to work with. Plus, if you want to change the configuration of how your tools are hanging, you can release the hook by slowly pulling down the backing strip, parallel to the wall, apply a replacement refill strip, and reuse the hook in a new place. The range of 3M Command™ Clear Utensil hooks can hold up to 225g, and are perfect for hanging your most-used kitchen utensils right where you need them. Because they’re clear, they’ll blend in with any wall surface. You may also want to hang your aprons, tea towels and other kitchen gadgets out of the way inside your pantry or cupboard doors. By hanging them inside these doors, you make it easier than ever to keep your kitchen tidy! Have some fun in your kid’s bedroom by hanging some of their favourite toys, bags and knick-knacks on the wall. It’s a great way to get some of the mess up off the floor – and it can look fantastic, too. Remember to hang the items your child uses most frequently, a lot lower down, so they can easily reach them! If you don’t get it right the first time, you can easily rearrange how you’ve hung things – as the 3M Command™ hooks are easily removable and reusable. It’s amazing how quickly you can clear workspaces, benches and floors of clutter by adding a few hooks here and there, isn’t it! In 2015, over 30% of India’s youth was neither employed nor in education nor training, one of the highest percentages in the world. India is already struggling with unemployment & It is projected to increase from 17.7 million in 2016 to 17.8 million in 2017 and 18 million next year. Staff Selection Commission (SSC) conducts Combined Higher Secondary (10 plus 2) level exam for the recruitment of highly skilled and talented data entry operator (DEO), Lower division Clerk (LDC), Postal/Sorting Assistant workers and Court Clerks. 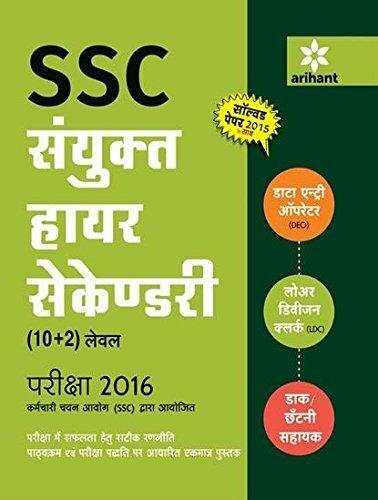 SSC solved papers for combined higher secondary (10 plus 2) level exam, was specifically devised in obedience with online pattern of the exam and the exam syllabi. It includes solved paper of 2017 and previous years’ (2009-15) papers with their complete and detailed solutions. The book contains essential guidelines to attempt various types of questions asked in the exam. 3 Practice tests from the book are also available on web plus mobile for the preparation of the examination. 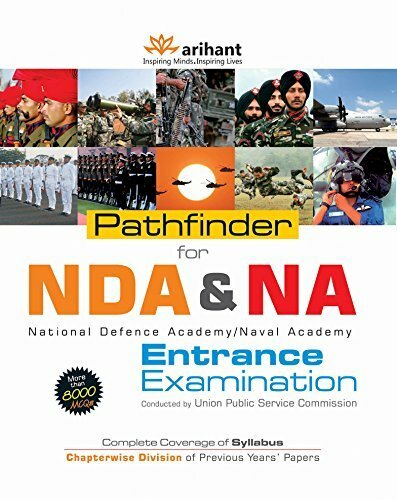 Through the book, it is aimed to help aspirants get an insight into the trends and pattern of questions asked and give best performance in the upcoming exams. 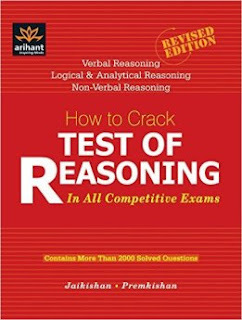 arihant a new approach to reasoning verbal & nonverbal pdf a new approach to reasoning verbal & nonverbal by bs sijwali pdf download free download Thinking and Reasoning Skills denotes both critical thinking skills and a wider set of thinking skills arihant a new approach to reasoning verbal & nonverbal pdf free download. The critical thinking skills include skills of analysis, skills of evaluation and skills of synthesis. therefore anticipated and indeed desirable that lessons will be used to cover several skills at once. Q:Sir I completed 10+2(science ) but I choose option electronics mechanic… So which book helpful to me? A:this book is well as compare to other but old version of this is best.its only cover short topics not in detail. 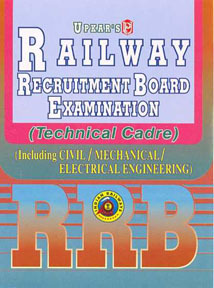 Upkar Railway Recruitment Boards Group ‘D’ Quite an OK kind of a book. Doesn’t contain much practice questions though but the syllabus and pattern is well designed and up-to-date.It contains all the syllabus as what we have to prepare but it consume too much time to study the whole book Thoroughly Average. Specially GS is not good. 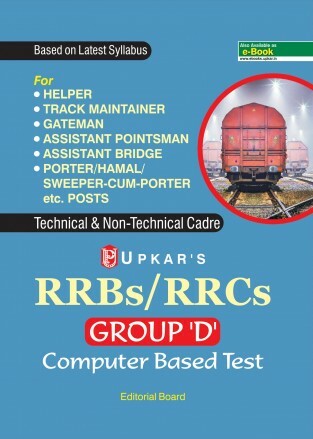 For learning gud This book has been designed for the aspirants preparing to clear the recruitment examination conducted by Railway Recruitment Board (RRB) for the posts of Group-D. The book is divided into four sections – Mathematics, General Intelligence and Reasoning, General Science & General Awareness. Every chapter in this book contains a brief theory followed by a set of practice questions to ensure revision of the concepts. The book also provides a practice paper which will help students to practice and self analyze their level of preparation. Updated Content according to the syllabus. No matter what shade of green your thumb is — master gardener, just starting out or landscape professional — The jovialfloor has your back. You’ll find support for your lawn and garden projects online from friendly, garden-minded associates .No one has a better selection of indoor and outdoor plants and planters. Get crafty with easy-to-care succulents or brighten up your life with healthy and colorful perennial and annual flowers. Thinking of starting or adding to your collection of house plants? Jovialfloor have everything you need from on-trend indoor foliage and low-maintenance greenery to nourishing soil and pots that double as decoration. If you’ve got a case of the black thumb, the knowledgeable staff are your best resource for plant care know-how. As Greenwall specialists we can help design, install and maintain any vertical garden. We offer modern, contemporary Indoor Plant Hire options to suit any brief and budget. Task lighting is essential if you love to relax and read in the living room. Both floor lights and table lamps can be well positioned to illuminate the specific area. A kitchen is the very heart of the house, so its lighting needs to be variable to suit its many uses. When being used to prepare food, bright task lighting is a necessity. The cooktop, sink and benches need to be clearly illuminated while you are creating your latest gastronomic feast. Recessed downlights in the ceiling or spotlights with fully adjustable heads can be positioned to give good directional lighting. An extractor fan over the cooktop can also include bright task lighting to assist in food preparation. If you have cupboards over bench tops, then consider concealed fluorescent strip lights to dispel any lingering shadows. When the kitchen is used for dining, more ambient light is required. A series of pendant lights over the eating area creates an intimate pool of light right where it’s required. Use dimmers to turn down the wattage once the cooking is completed. And for a romantic dinner, simply turn down all the lights as far as they will go and break out the candles for extra ambience. During the day, a large ceiling or pendant light – perhaps a set of three over the island bench for a contemporary look – can brighten the kitchen area. Overall, a selection of task, accent and ambient lighting coupled with dimmers will provide a full range of illumination, no matter how you use your kitchen. The living room is usually the largest space in the house and is used in many different ways. It needs a mixture of ambient, accent and task lighting that can be mixed and matched depending on whether you are watching TV, entertaining friends, reading a book or playing games with the kids. General ambient lighting can be supplied by recessed downlights, pendant lights or even a chandelier if you have enough head height. Wall lights are a great option for accenting artwork, while a floor lamp can face a large painted wall to reflect soft light back into the room. When it’s time to chill with a movie, a dimmed floor or table lamp will provide enough illumination to navigate the room safely without interfering with your viewing. Just make sure to position it so it is not reflected by the TV screen. Task lighting is essential if you love to relax and read, or sew or knit, in the living room. Both floor lights and table lamps can be well positioned to illuminate the specific area. One of the nicest ways to light a living room is with a fireplace. The flickering light of the flames coupled with soft overhead lighting will make your lounge room a comfortable and inviting space to talk, relax and reconnect with friends and family. Functional lighting is the way to go in bathrooms and ensuites, but that shouldn’t be at the expense of mood lighting. Recessed downlights can flood the space with even bright light, often making a small room seem larger. A dimmer switch, meanwhile, can help soften the glow – a handy option when enjoying a long soak in the bath. A light positioned directly overhead and above a mirror will cast shadows on your face. This can be alleviated by positioning two wall lights on either side of the mirror – handy when shaving or applying make-up. There are regulations about where you can position lights in the bathroom, so make sure your planning considers safety first. Masters sell a stylist range of lighting specifically designed for use in bathrooms which clearly shows where each light can be used.